Everyone wishes to have a fit and healthy body without any extra flab hanging from the arm, thigh or the belly. To remove the extra fat in your body, you have to lose weight and attain a perfect body. Most of the people are ready to go to any length for losing weight and getting rid of excess fat. In this article we are going to discuss one of the ingredients that are good for losing weight naturally. Can you guess what it is? Well, it is olive oil! How human beings started using Olive oil? Olive oil was originally grown in parts of Iraq, Iran and the area surrounding Mediterranean and Caspian Sea. Olives are formed on the evergreen plant Olea europaeaor, which is also known as olive tree. This tree is short and squat. Olive fruit is edible, small in size and has a green or dark purple color. It is also fleshy. Mediterranean cooking is never complete if olive oil is not added to it. Presently Spain is the greatest producer of olive oil in the world. This oil imparts a delicious taste to any dish you make and also has great medicinal values. 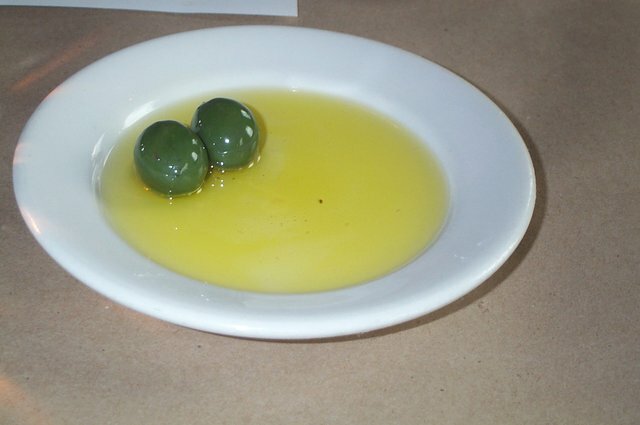 Olive oil is obtained by pressing olives and the oil thus obtained is thick and dense, enriched with fat. It is one of the commonly used cooking oil in Europe, especially for making dishes like pizza, pasta and so on. It is also an important constituent in cosmetic industry and is added when you make soaps, creams and other personal hygiene products. Olive oil is rich in antioxidants, phytonutrients and essential fatty acids. This makes olive oil very beneficial for various skin problems like dryness, psoriasis and other such skin diseases. It is also good for preventing digestive problems like constipation and indigestion, bloating, jaundice and diseases of the cardiovascular system like heart attacks. Other diseases that are treated with olive oil are strokes, colon cancer, breast cancer, blood pressure and high cholesterol. Migraine, arthritis, gall bladder stone and ear infection can also be treated with olive oil. If you are suffering from obesity and want to lose weight, olive oil can be of great use. This oil helps you to get rid of extra flab in your body and provides you a well toned body that is also light and healthy. Thyroid can also be treated with olive oil. Using of olive oil for weight loss is now slowly getting popular with people. However, you must be careful to use superior quality olive oil. Never use inferior, cheap and adulterated olive oil. This will not give you the results you are looking for. How Olive oil Benefits Weight Loss? Olive oil has the ability to reduce your appetite. The amazing aroma and the hormone in it called serotonin makes you feel full. So, When ever you drink olive oil you will not feel hungry and therefore consume less food. So have olive oil regularly in your diet and this will help in providing you a lot of health benefits as well as control your craving for food, thus repressing your appetite. You can make various recipes by adding olive oil and enjoy the benefits it provides. Olive oil is a rich source of omega 3 fatty acids and therefore consuming this oil leads to loss of weight. Moreover, the absence of carbohydrates in olive oil is good for reducing the levels of carbohydrates in the body, which helps in maintaining the body weight. Oils rich in sodium cannot help you get rid of excess weight because they help in promoting retention of water in the body. But olive oil contains zero sodium and therefore is good for helping you get rid of excess weight. Vitamin C and bioflavanoids in olive oil leads to an increase in the flow of urine and reduces water retention in the body. As a result, it helps in preventing weight gain, bloating, liver problems and triggers weight reduction. Olive oil is monounsaturated oil and therefore it contains good fat cells in it. These fat cells reduce the bad fat cells that accumulate in the body and also replace them with good fat cells. Thus olive oil is excellent for maintaining your good health. It lowers the level of blood cholesterol and also prevents bad cholesterols from getting accumulated in the body. This way it aids in reducing your body weight and keeps you fit and healthy. By increasing the level of HDL (good cholesterol) and lowering LDL (bad cholesterol), olive provides you a healthy heart. Olive oil is rich in antioxidants, which help in reducing your craving for food and thus prevents you from overeating. It also enhances the oxidation of unhealthy fat in the body and helps in increasing the metabolic rate of the body. This helps in effective loss of extra pounds in the body. Being rich in antioxidants, vitamins, minerals and other essential nutrients, olive oil is very beneficial for preventing various diseases and infections of the body and is great for your general health and well being. The presence of phytonutrients like Vitamin B, C and D and essential oils in this oil provides your body immunity power. Thus olive oil is very beneficial for preventing various illness of the body like thyroid, high cholesterol, obesity and so on. So having olive oil keeps you healthy and disease free, as well as prevents your body from gaining extra weight. Always try to use superior quality virgin olive oil. This contains more nutrients and antioxidants compared to the refined olive oil. It also has a better taste. Keep olive oil in a dark, dry and cool place. This will keep the oil fresh for a longer time by preventing it from going rancid.